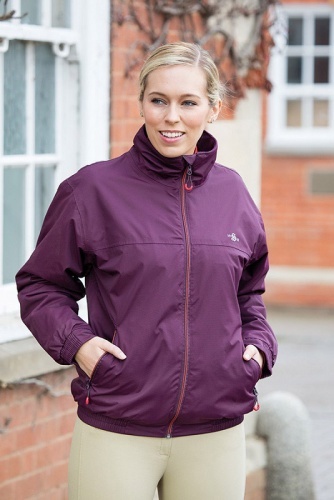 Sochi Blouson Jacket form Shires Equestrian features a zip at the inner lower back to allow access for adding personalised embroidery. 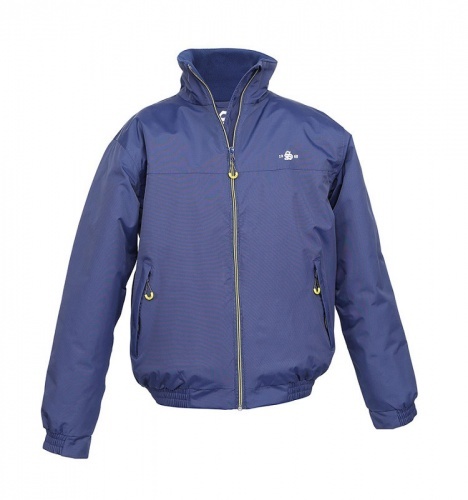 Made from waterproof, breathable fabric and fleece lined for comfort and warmth. 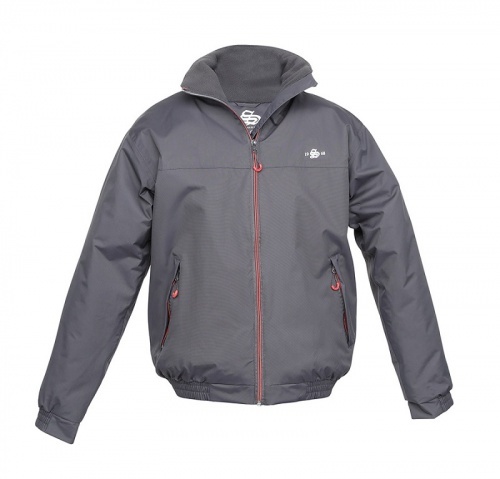 Design detail includes 2 outer fleece lined zip pockets, 1 inner zip pocket, easy grab zip pulls and reflective breast print and contrast stitching. Available in Maid and Ladies sizes. Colourways: Navy, Plum and Grey colours.